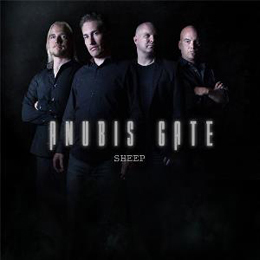 Anubis Gate is prog/powermetal band from Denmark witch already has 5 albums held in high regard by both critics & fans. The band was founded in 2001 by Jesper M. Jensen and Morten Sørensen, Torben Askholm and with the aid of old friends Henrik Fevre and Kim Olesen. Together, these chaps have made some solid records. But personally, I’m not impressed with this 3 song long CD. I have to admit the band has accomplished several things and has written some wicked tunes. But these three just don’t cut it for me. Although there is a lot going on during these three specific songs, it maybe a bit to much making it to overwhelming even for a prog band. Apart from that (and that being all there is), the production and quality of the sound is solid and almost flawless. But still it isn’t a must have, but it is just a single so we have to wait for the album.